Whilst waiting to start work on the next Slipknot album, drummer Joey Jordision decided to pen some new tracks and began the task of recruiting a suitable vocalist and musicians to fulfill the potential of the new songs. 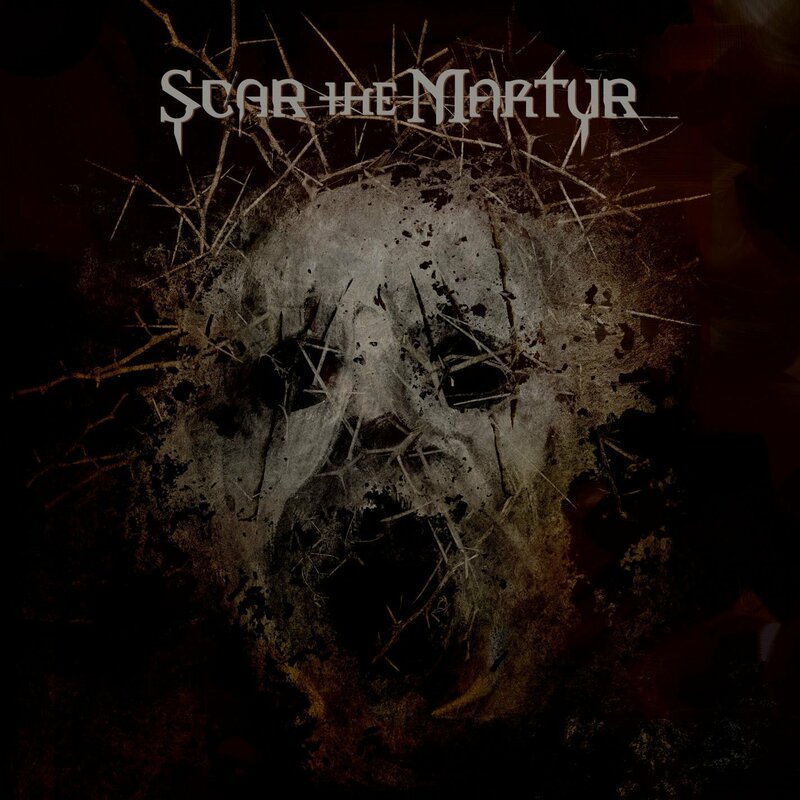 On the recommendation of a friend he quickly found the vocal talents of Henry Derek and the two set about adding the meat to the bones of what would become Scar the Martyr’s self titled 14 track opus, which is due for release on October 1st 2013 from Roadrunner Records. Jordison and Derek were eventually joined in the studio by Chris Vrenna (Nine Inch Nails) on keys, and the dual guitar talents of Jed Simon (Strapping Young Lad) and Kris Norris (Darkest Hour). The impact of these additions seems obvious from the outset, some great solos and even one or two dueling guitar sections compliment the crunching rhythm guitar Jordison had already recorded. Vrenna’s keys add that little bit of texture and atmosphere that goes further to enhance the feel of the entire album. As always Jordison’s drumming is exemplary, tracks such as ‘Effigy Unborn’ and ‘Blood Host’ in particular highlight the expansive talent of his drumming ability. With one having some fierce double kick and snare action and the later having a steady driving beat, that wouldn’t be out of place on a Rob Zombie record. But on this particular record it is Derek’s vocals that really bring these songs to life. Throughout the album he can go from an intense growl to a melodic chorus with apparent ease. In particular ‘Prayer for Pray’, ‘Dark Ages’ and the previously mentioned ‘Blood Host’ show just how versatile a vocalist he is, and it would be doing him a real dis-service to compare him to other more established vocalists that Jordison has previously worked with. Even though these songs have origins in the Slipknot writing process they have a strong identity of their own which is due largely to Jordison’s approach to writing and the personnel brought on board to complete the recording. Aside from the ‘Intro’ and short instrumental ‘Sign Of The Omeneye’ there are no fillers on this album; the song-craft, musicianship and intensity have all combined perfectly to make a record in which all involved should be incredibly proud. From start to finish this is one of the finest metal albums I’ve heard in a long, long time.